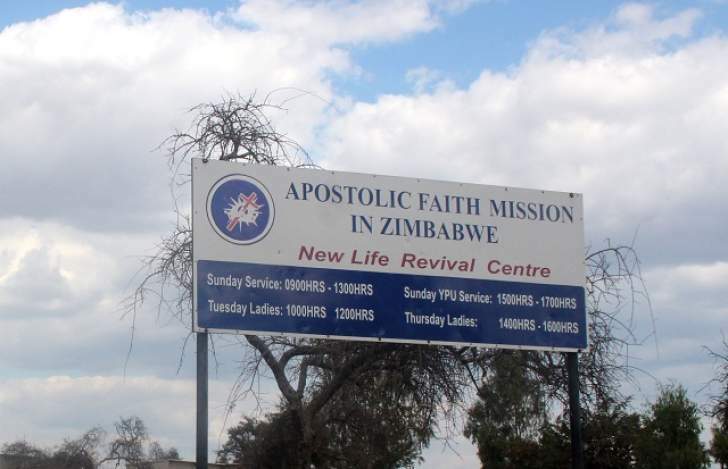 AN Apostolic Faith Mission in Zimbabwe (AFM) pastor has disappeared from his home in Bulawayo after allegedly impregnating a maid and one of his wife's relatives. Pastor Toni Kandiye of the AFM Tshabalala Assembly, who resides in Nkulumane 12 suburb, allegedly had extra marital relations with his housemaid and his wife's relative who has since moved to Gweru. The maid, known as Vivian, has since been fired. Efforts to get a comment from Pastor Kandiye were fruitless as he has been unreachable on his mobile phone since Friday last week. His wife, Mrs Modester Kandiye, told The Chronicle that she was not in a position to comment as her family was dealing with the matter. Pastor Kandiye's daughter Grace, however, confirmed her father's shenanigans and said she was worried about her mother's welfare as it was not good to have people gossiping about the family in church. I'm worried about my mum because people talk about Vivian, our former maid who had a relationship with dad and also my aunt in Gweru who is my father's other mistress," she said. Grace told The Chronicle that her mother and her unnamed relative met at her grandmother's funeral in Gweru and resolved some of their issues. "My mother is suffering as she has to keep up appearances in church and lie on my father's behalf. I have grown sick of it. Dad couldn't just take off without a word and expect us to be telling tales when people ask about him," she said. Mrs Kandiye initially rubbished the allegations before changing her stance and telling this newspaper that it was a private matter. "Church members know which channels to follow if there are problems. Why are they taking my issues to The Chronicle. People just hate my husband and may be after his position. We are dealing with the matter as a family and people must not talk about things that they don't know," she said. The overseer of the church, Mr Clever Mupakaidzwa, said he was aware of the pastor's disappearance from the church, but had not been told of the reasons behind it. "I went to the Tshabalala Assembly myself to attend to the issue of the pastor's absence as he has not been around for the past eight weeks without an explanation. However, the family did not confide in me about the extra marital affairs. We have been trying to establish where the pastor is as a church and it has been very difficult. We have, however, reached a conclusion and we will be sending written communication to the church this week pertaining to the pastor's conduct," he said. "We are still investigating the whole matter. It will be good if you can also give us information. Anyone with information must come forward and assist the leadership. I cannot comment further as I have to first consult with my elders". Mr Mupakaidzwa said the church leadership did not condone the pastor's conduct. Church members who spoke to The Chronicle expressed disgruntlement about the state of affairs at the church following the pastor's disappearance. A congregant who requested anonymity said he was worried about the spiritual health of the church as the congregation had been divided into two factions, for and against the pastor. One of the church elders who identified herself as Mrs Mufari, said congregants must follow the official channels of communication within the church. "Fellow church members know our official channels of communication. Apart from that, I have no comment," said Mrs Mufari.